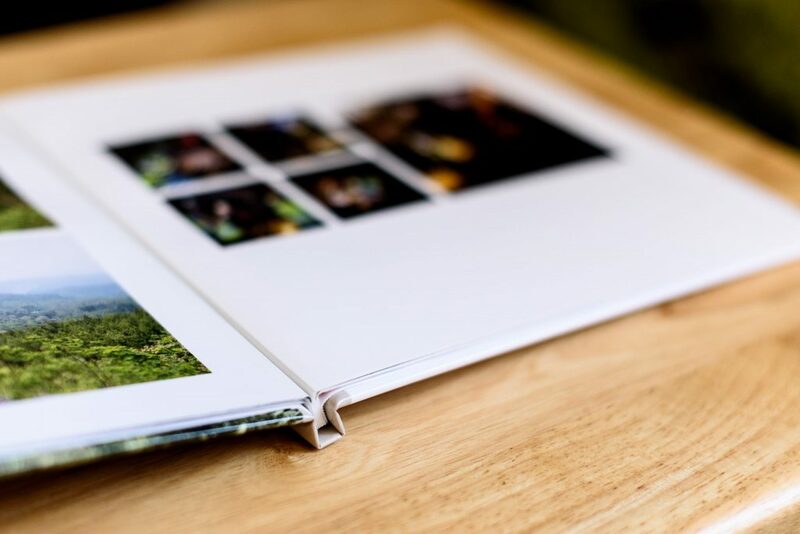 A photo book is a great way to select a handful of your photos and put them in one cohesive collection. 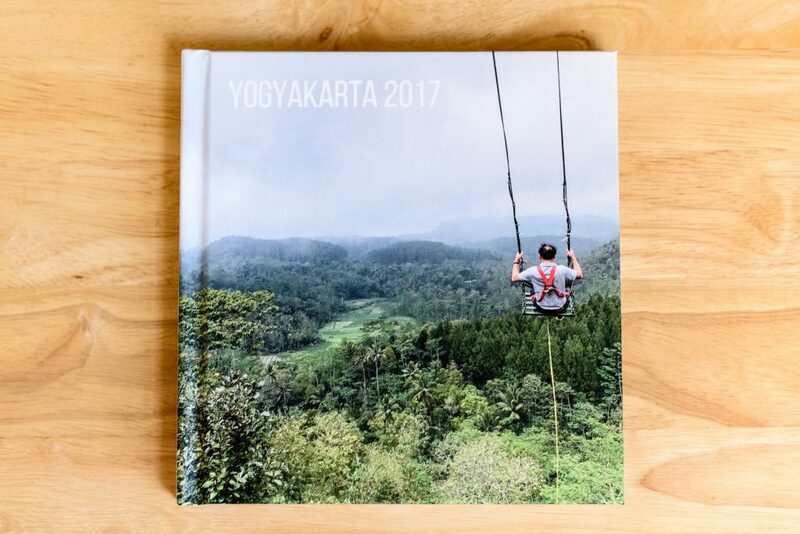 You can create a photo book for your vacation photos, for all your beach landscape photos, or any theme you can think of. 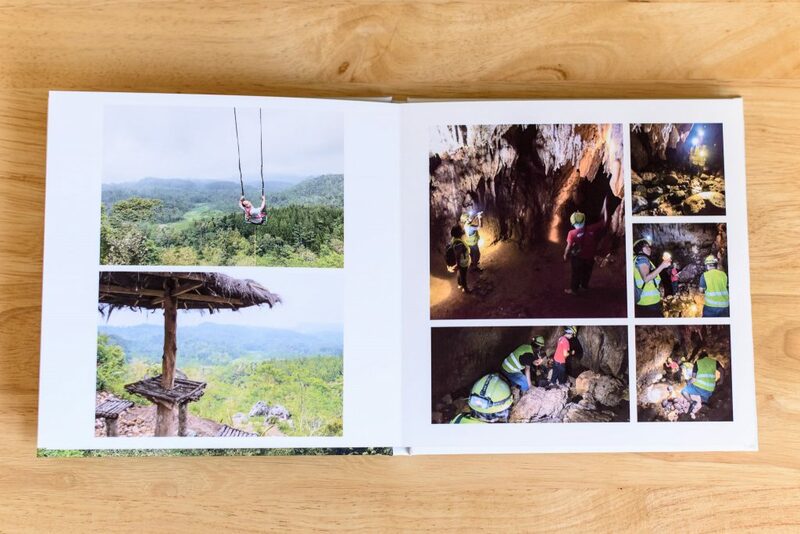 I made a photo book for my last vacation photos, carried it around, and people were amused checking it out. 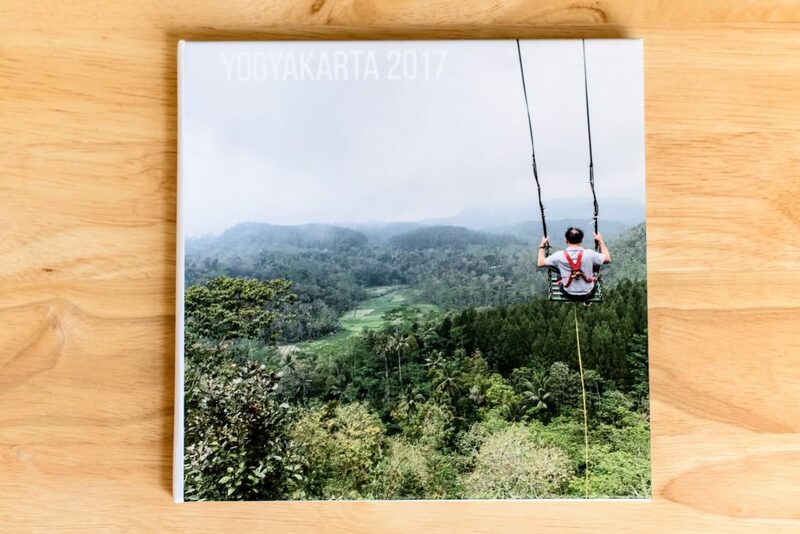 I decided to evaluate several vendors (AdoramaPix, Mixbook, Snapfish, Picaboo, and Shutterfly) and with each, created a photo book with the same set of photos. 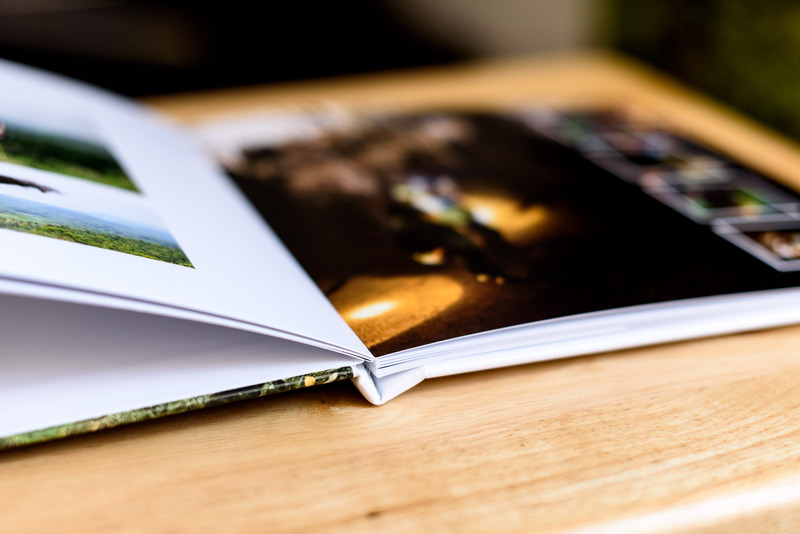 Due to inconsistent product offering (how you could configure the photo book) among vendors, the comparison among these photo books was not exactly apple-to-apple. 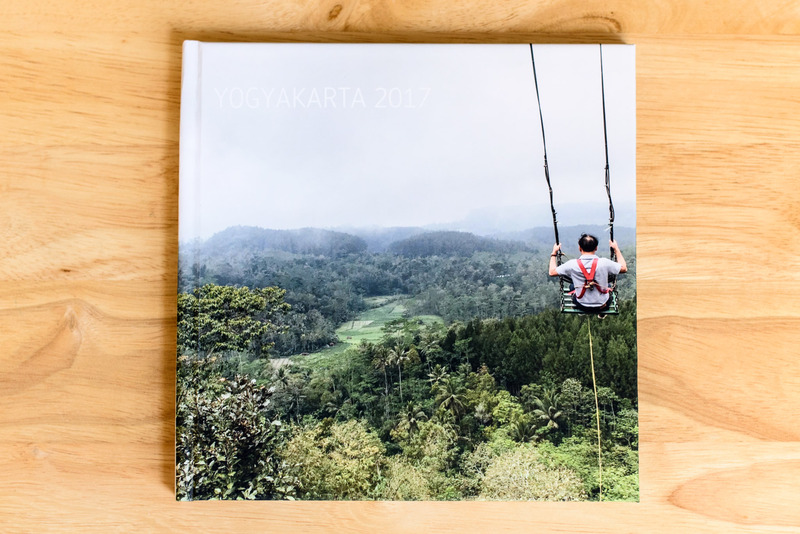 Moreover, I highlighted only aspects of the vendors that I cared about based on my preferred way of creating a photo book. The following was what I ended up ordering from each vendor. 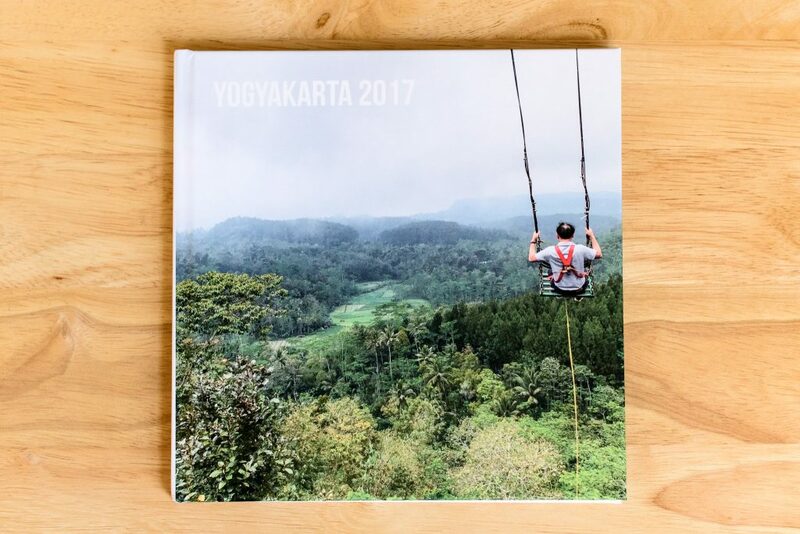 Photo books from different vendors. From left to right: AdoramaPix, Mixbook, Snapfish, Picaboo, Shutterfly. 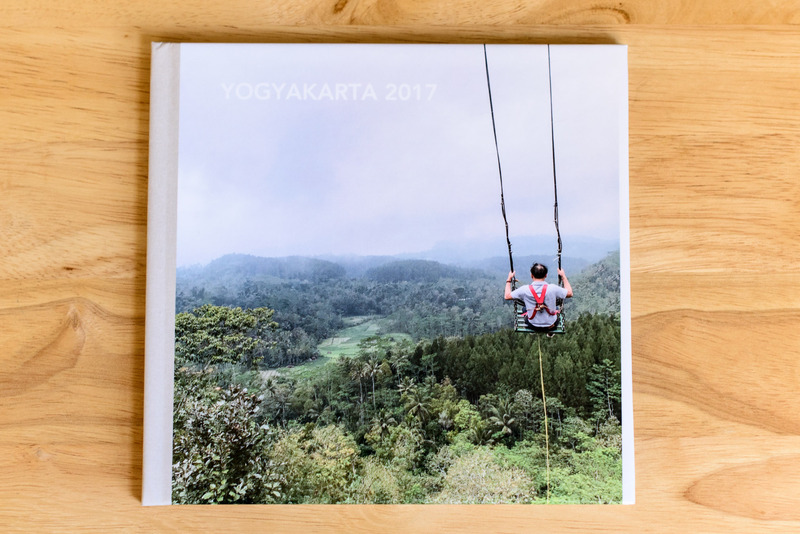 The process of creating and ordering a photo book goes as follows. 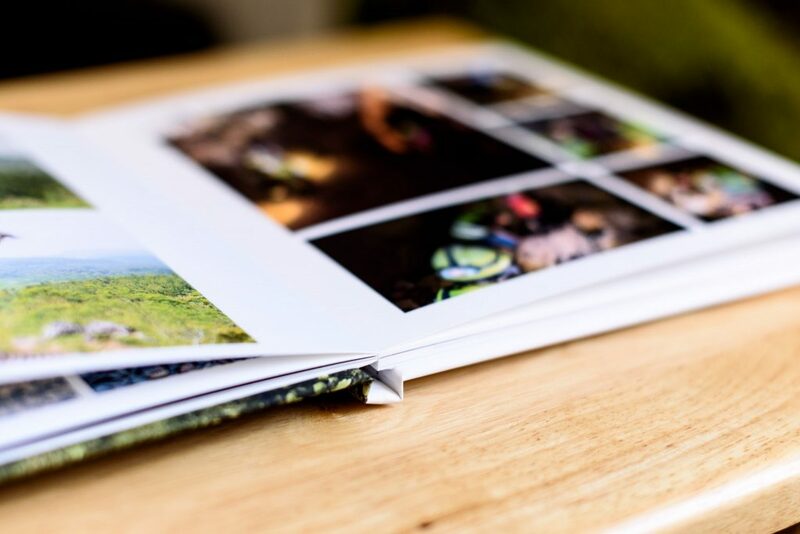 AdoramaPix, Picaboo, and Shutterfly allow you to add photos on pages while photos are being uploaded in the background. 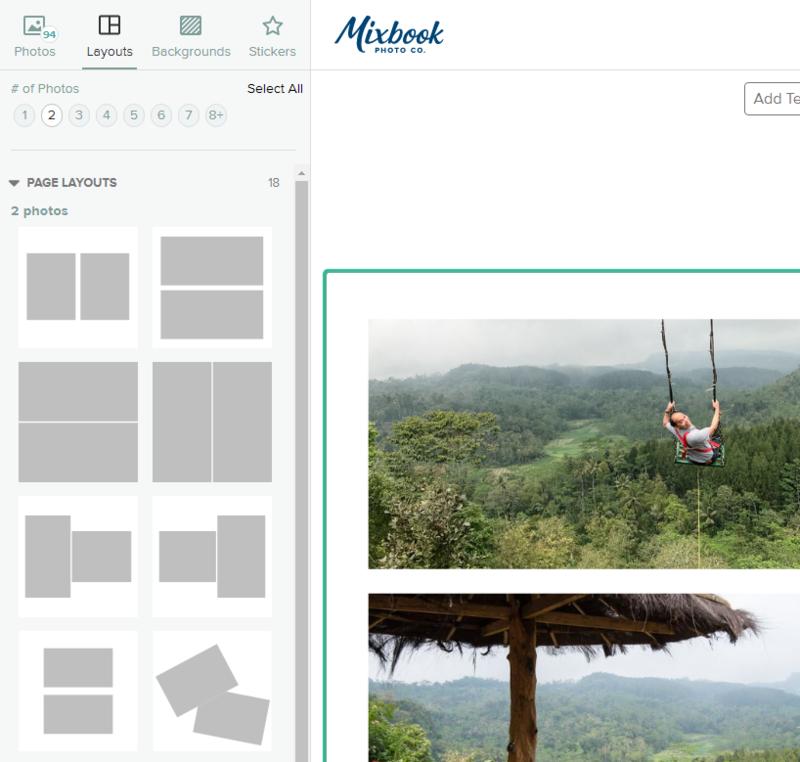 Mixbook and Snapfish make you wait for all photos to be completely uploaded before you can proceed. 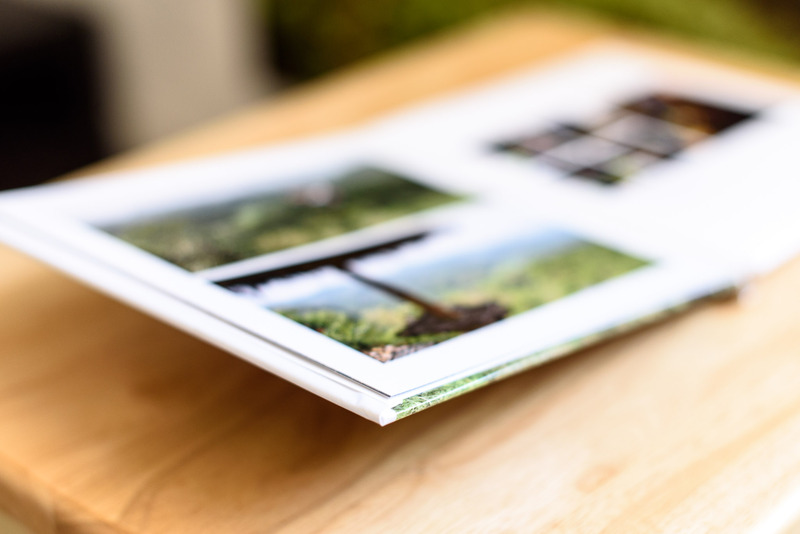 As you tend to upload higher quality photos–which will have bigger file size, background upload is a time-saving feature especially with high number of photos. 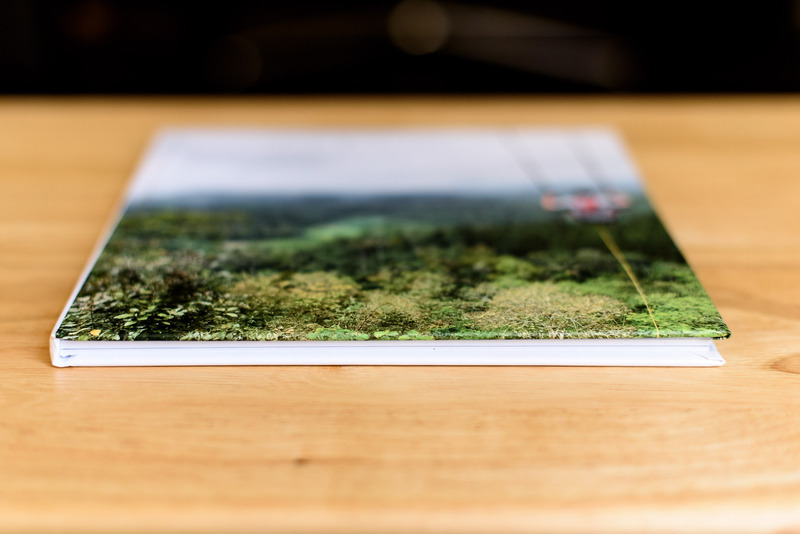 More often than not, I usually fill the cover page with a single photo. 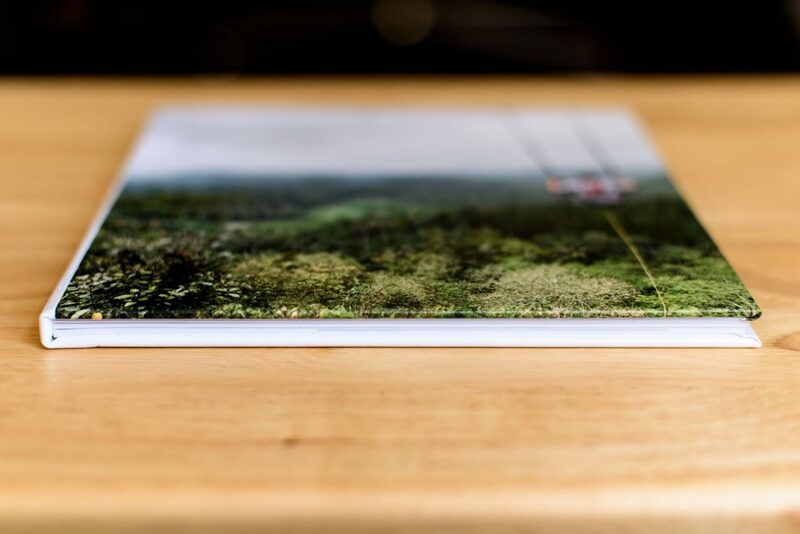 When you wrap a photo on a cover page, you will lose some portion of the photo on the edges. How much and whether I can see how the photo is going to appear cropped will remove all the guessing and experimenting. 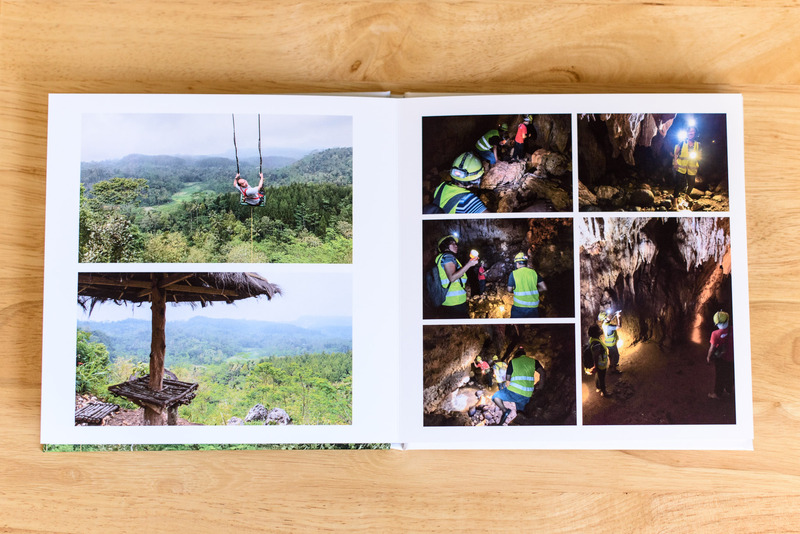 Mixbook and Picaboo show consistency between the preview and the final photo book. 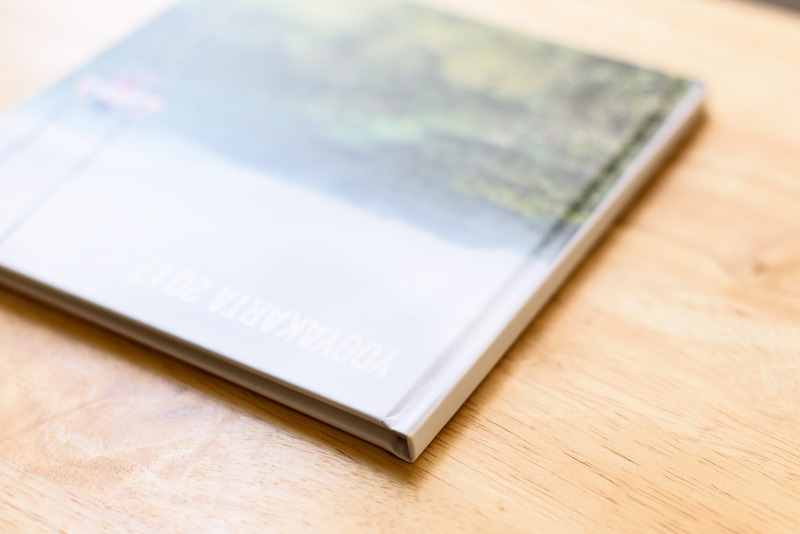 Mixbook takes less of the edges–beneficial when an important element sits close to one of the edges. 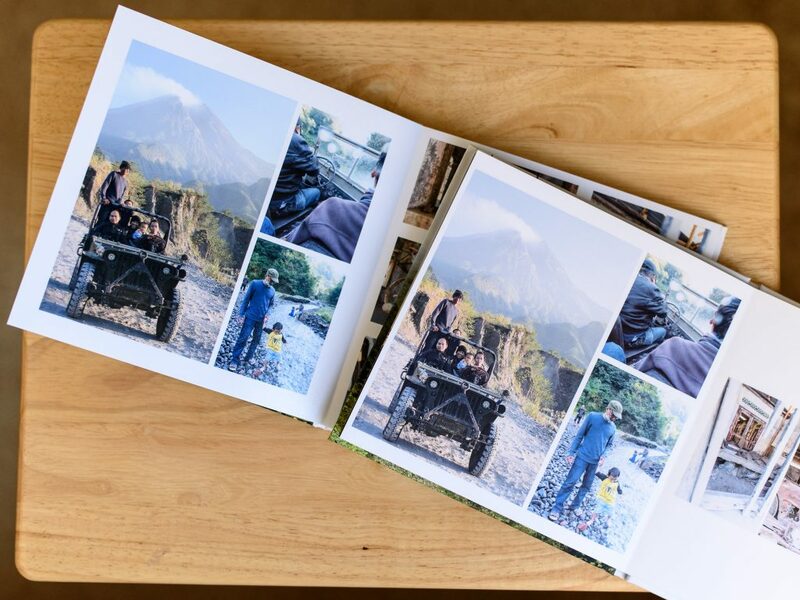 Preview of Mixbook photo book cover on the left, and cover on the final product on the right. Snapfish takes too much of the edges. 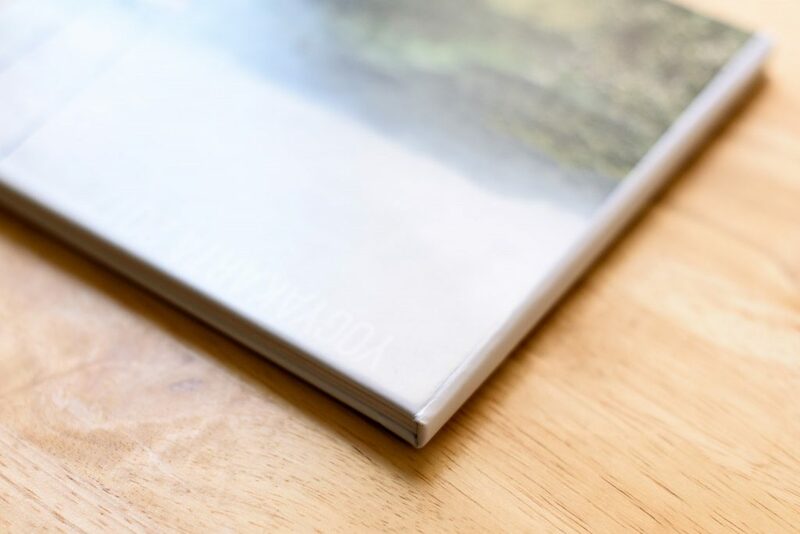 The preview from AdoramaPix appears differently from the final cover it’s hard to precisely place a text or an element near the edges. Shutterfly produces the least desirable cover by showing white background on the right edge. 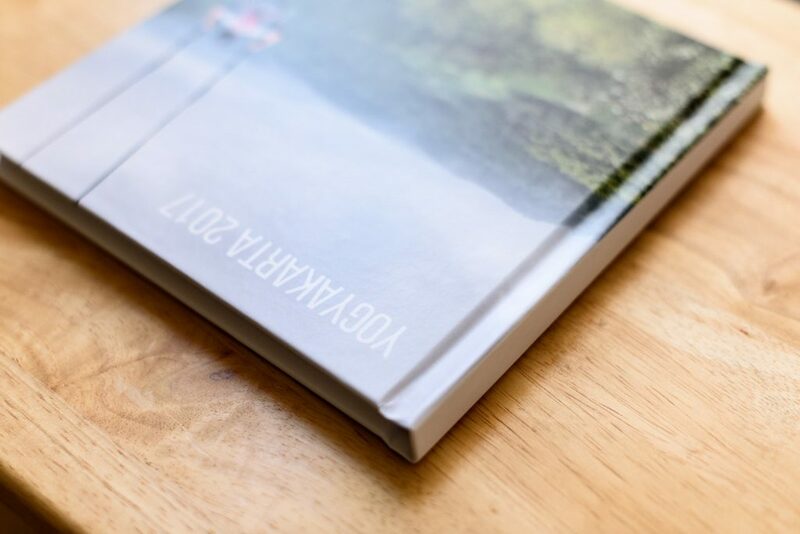 Shutterfly photo book cover shows white background on the right edge. And what’s with the band on the spine? 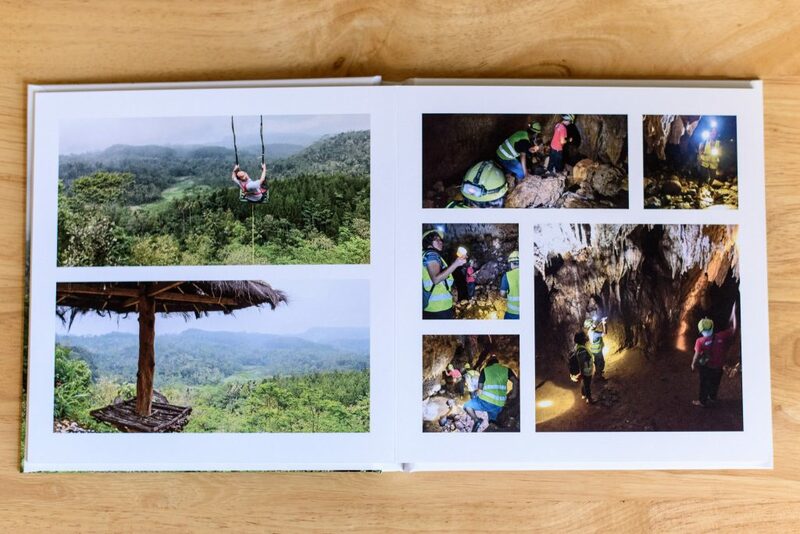 AdoramaPix and Picaboo allow you to spread a photo onto the front and back cover pages while others only allow filling a photo on the front cover page. 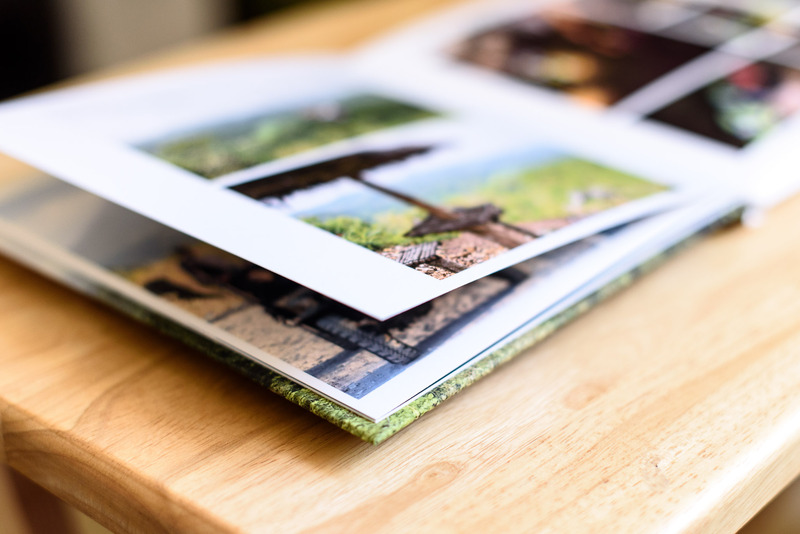 When adding a photo or photos to a page, I prefer to choose one of layout presets, drop the photo(s), and be done with it. 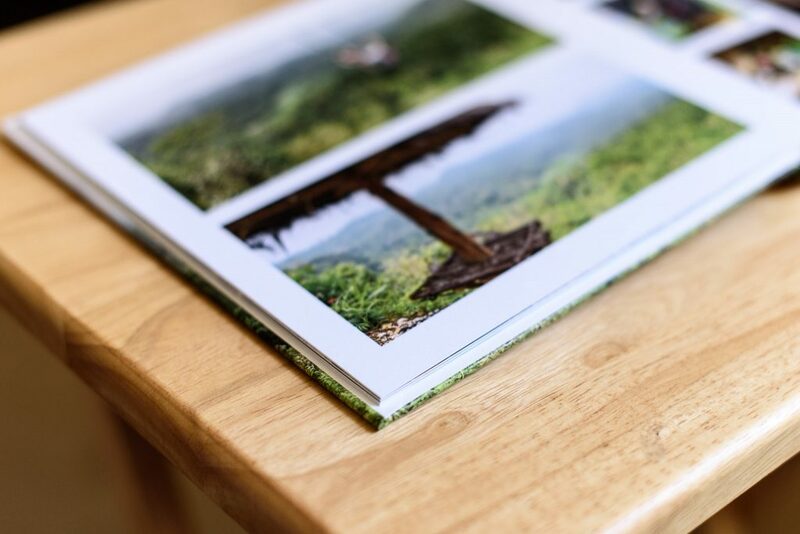 I don’t want to spend time lining up, resizing, centering, or doing any manual, tedious way to place the photo(s) on the page. Every aforementioned vendor provides layout presets. 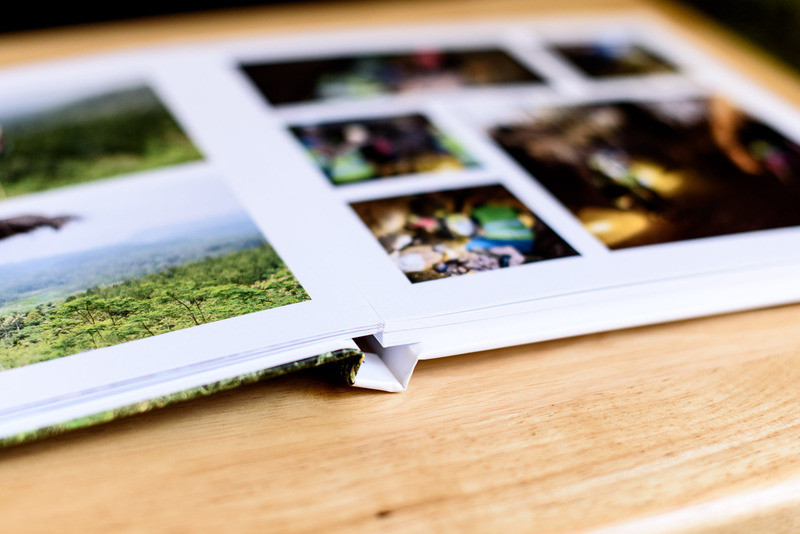 You select a layout by first specifying the number of photos you want to place on a page. 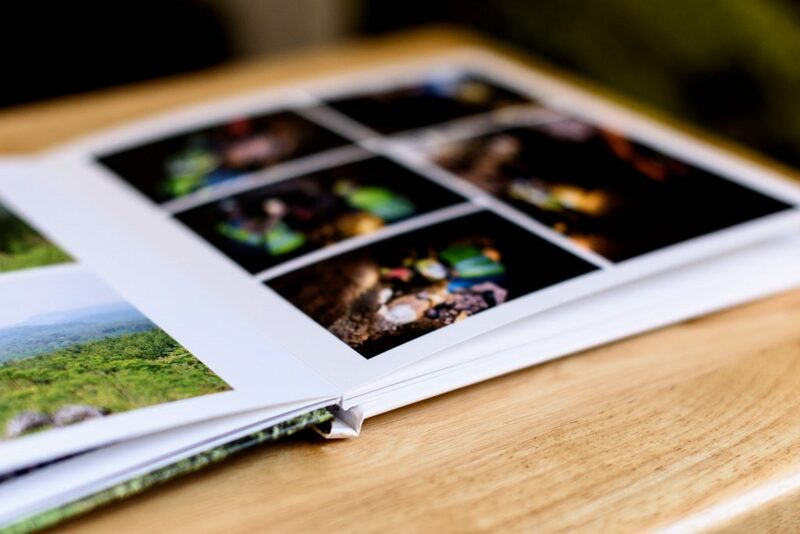 The photo book editor, then, provides you with multiple choices of layout for that number of photos. 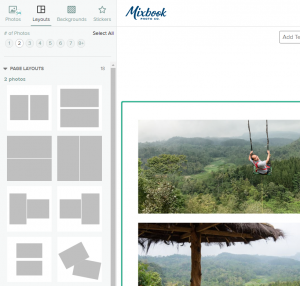 Mixbook provides presets for 1 to 8+ number of photos. The others, except Snapfish, provides presets for 1 to 5+ number of photos. Snapfish provides only up to 4+ photos. 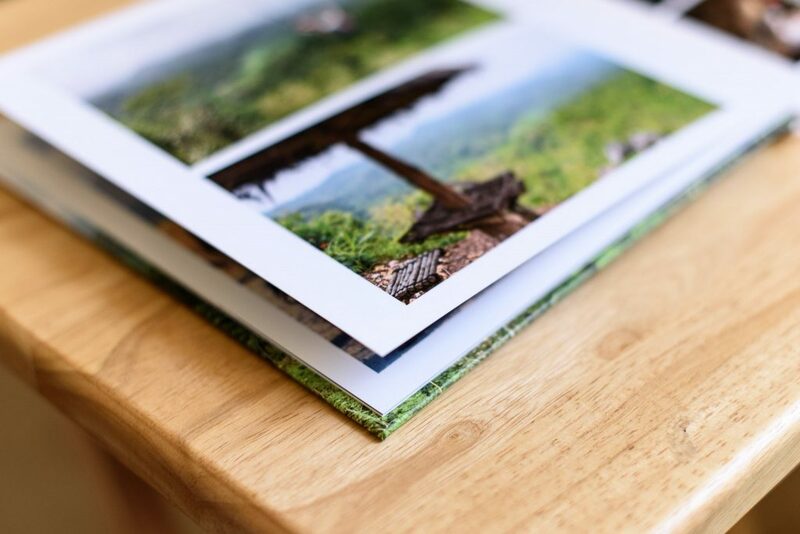 Good presets of layout will lay the photos as such that they will appear balanced within the page. Mixbook and AdoramaPix have that good balance in each preset layout I used, while others, not so much. 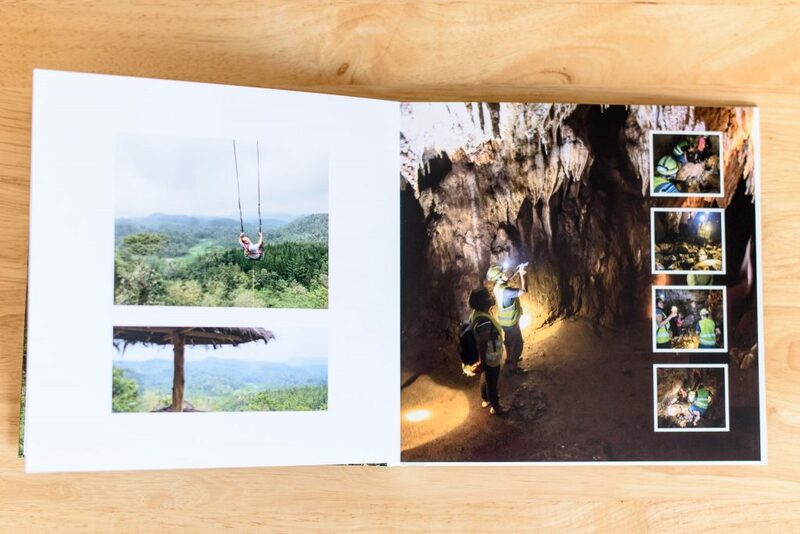 AdoramaPix photo book on the left shows balanced white space around the photos, while on right, Snapfish shows unbalanced white space. 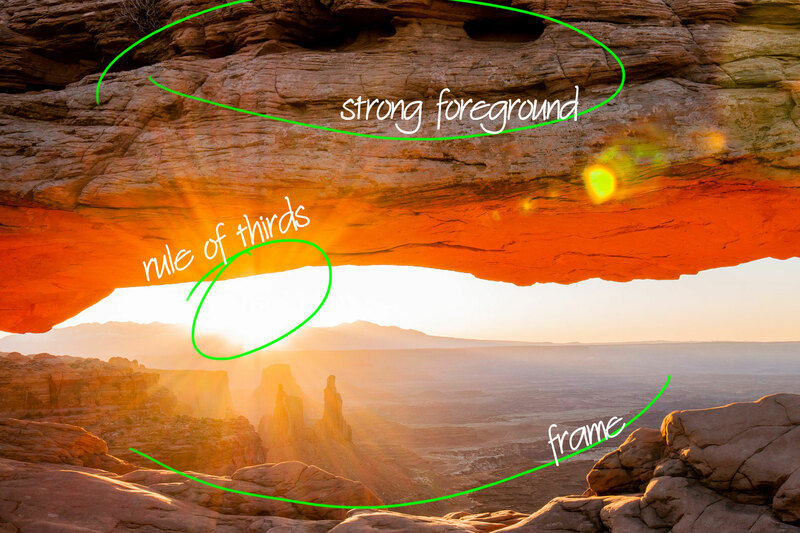 When you select a layout preset, a placeholder or more will be inserted to the current page. 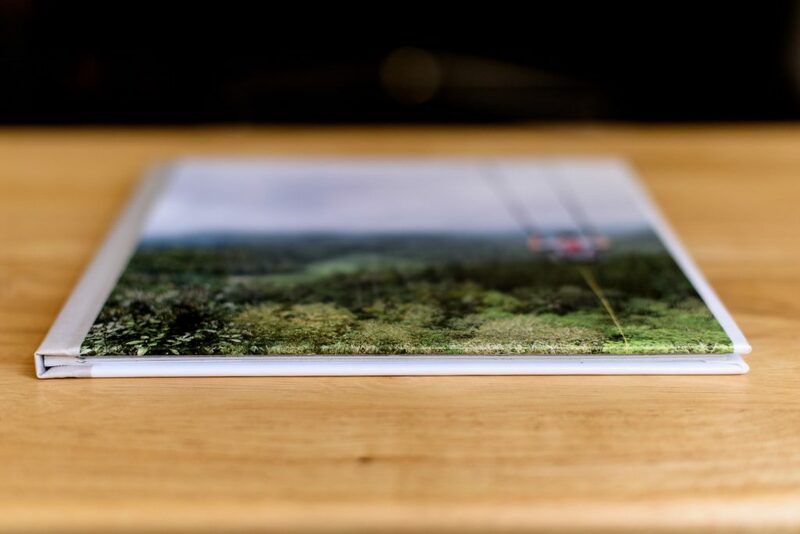 Dragging and dropping a photo to a placeholder will add that photo to the page. 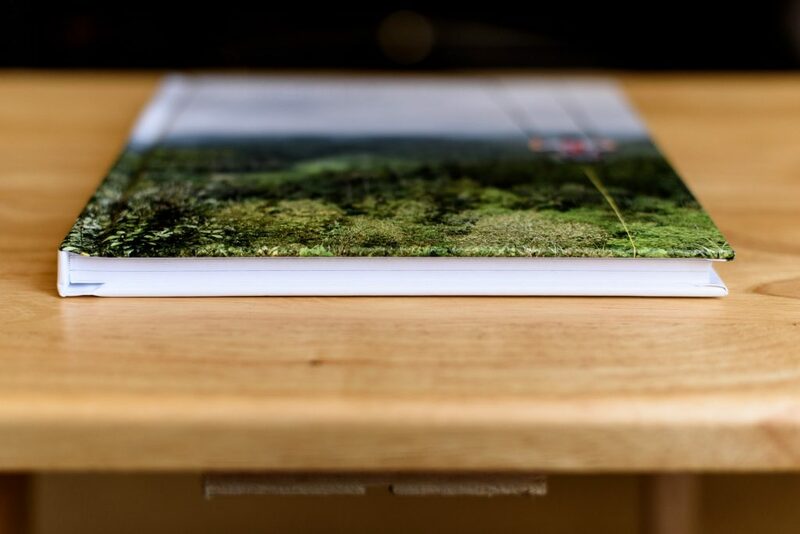 When a photo is taller or wider than the placeholder, only some portion of the photo is visible. 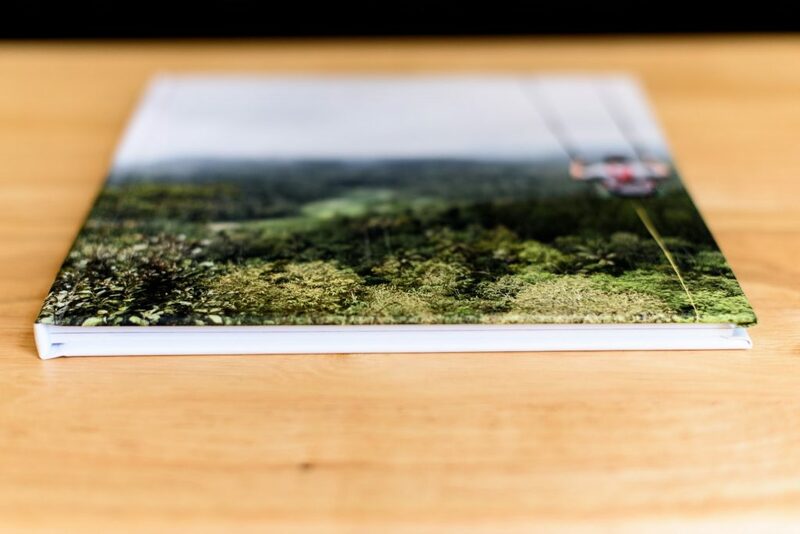 You can reposition the photo within the placeholder to adjust which portion is visible. Mixbook, Snapfish, and Picaboo have the easiest method to reposition the photo within a placeholder. 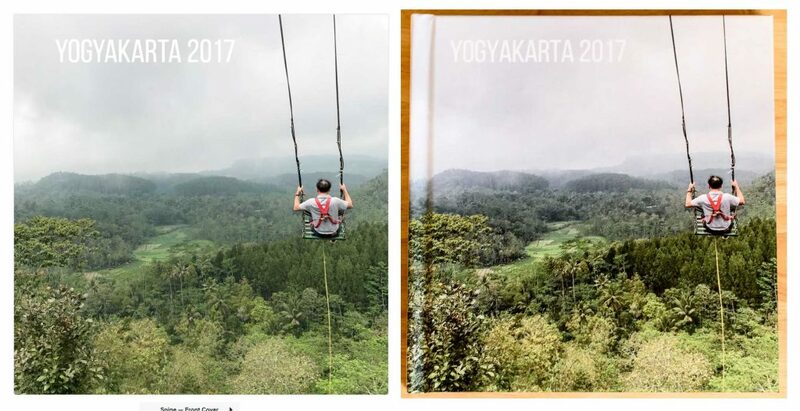 You simply drag the icon (hand or move icon) in the middle of the photo and pan left, right, up, or down. 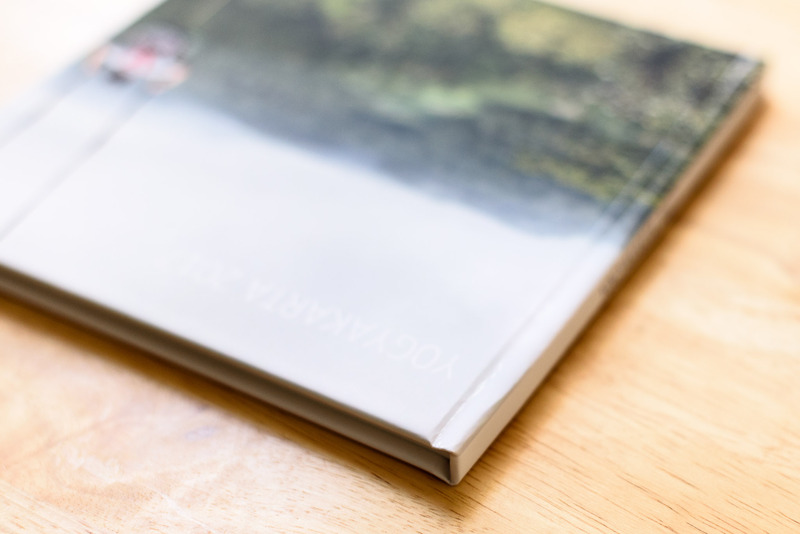 AdoramaPix requires a double-click on the photo before you can reposition the photo. 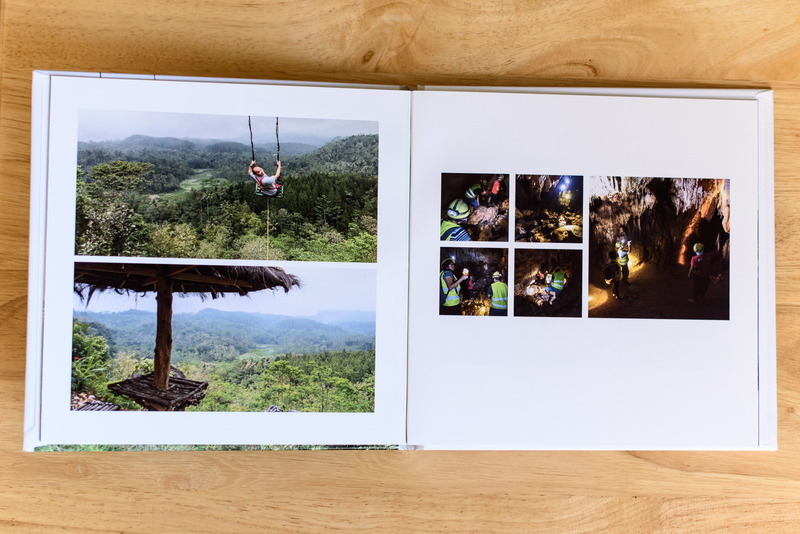 Shutterfly makes you adjust the position in a separate window. Mixbook is the deserving winner with its premium, thick photo paper, an array of layout presets, and a perfect cover page. Shutterly is the only one with unacceptable final product. It is indeed one of the cheapest. But the many imperfections in their product makes me think this vendor doesn’t care much about quality. 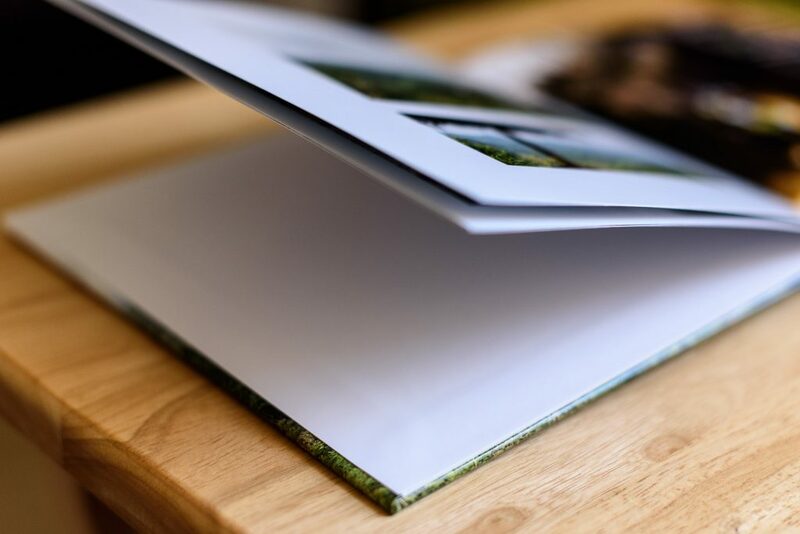 When getting a hard cover, opt for matte finish; it exudes a higher quality and a better tactile impression. 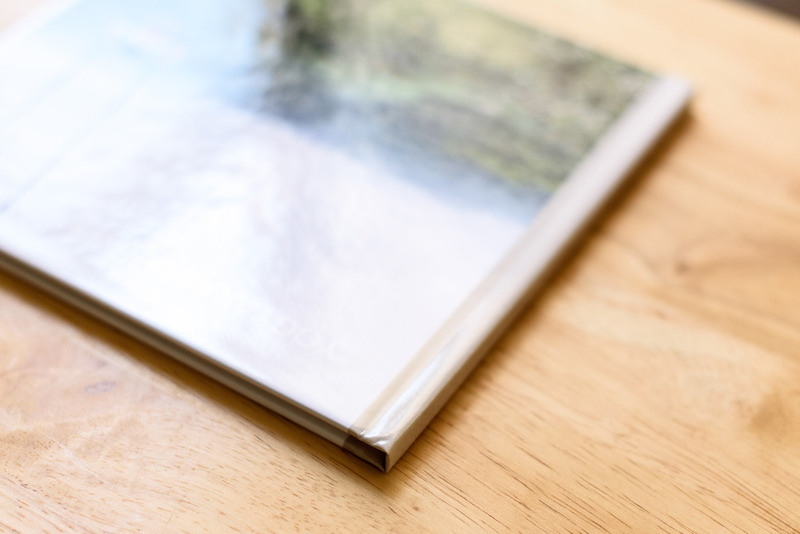 A photo book with a hard cover needs to be thick enough (the whole book, not just the cover) for it to look balanced. 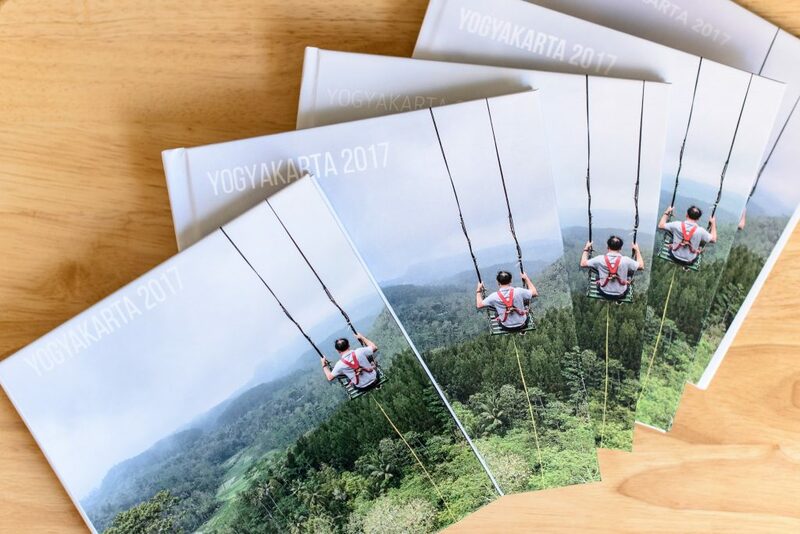 Except for Mixbook, 20 pages are not enough number to get the hard cover.